UPDATE: Kite has ceased operations since January 2017. 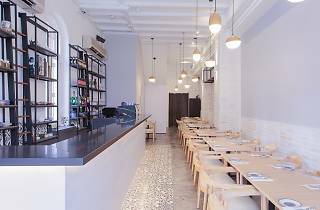 Placed on a stretch of Craig Road that you'd only think about at night, Kite is a shophouse restaurant and bar that you might easily pass over in favour of its buzzier neighbours. In the narrow room, the decor doesn't pop with ‘greige’ walls and equally unobtrusive furniture. But what goes on in the kitchen is a lot more colourful. Helmed by chef Dannel Krishnan – whose mother is Chinese-Malay and father is Eurasian-Indian – each dish is peppered with local influence creating a dining experience that is both innovative and well-balanced. 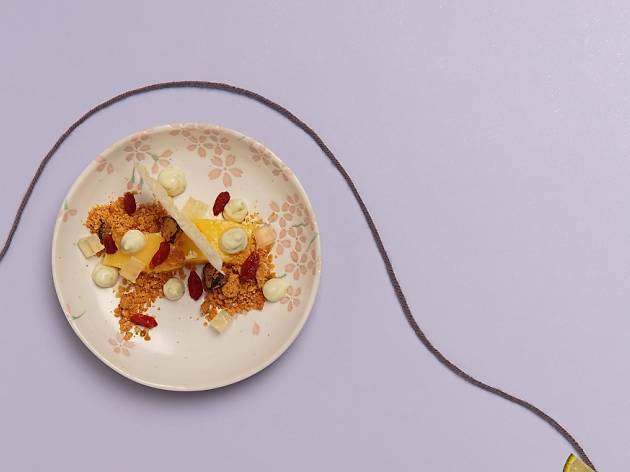 While the à la carte menu is available for lunch, the dinner experience is purely omakase ($75/ten-course, $90/12-course, $120/14-course, $140/18-course). From the first course, we knew that Kite will bust every convention we have of mod-Sin cooking. The chicken rice crackers have the same garlicky taste as our national dish but it's been reinterpreted here in a way that we've never seen before. 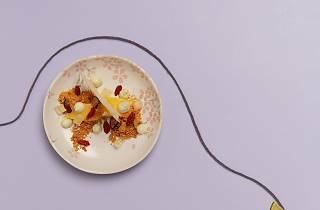 Similarly, the Mangalica pig collar is served in a spiced broth with you tiao veloute to mimic the taste of bak kut teh. This is subtle yet clever cooking. 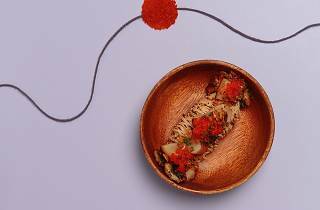 The star dish, though, is uncharacteristically Japanese. 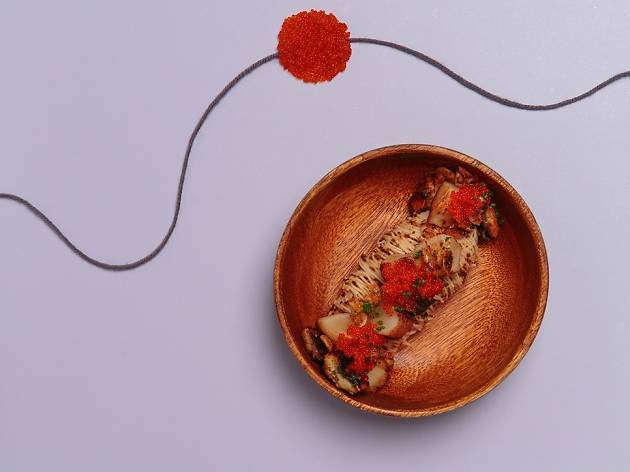 The mentaiko somen is served with Hokkaido scallops, unagi and tobiko – each bite is full of flavour and the scallops are seared to a perfect medium-rare. While the menu does seem disconnected at points, these hints of Japanese influence are at least tied together by the sake pairing ($40/ three glasses, $70/five glasses). In all, Kite is a surprise hiding in a café-shaped shell that too often signals style over substance. 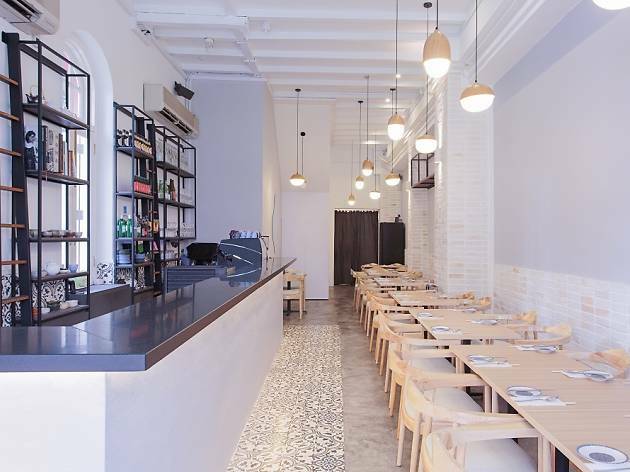 But the dishes are marvels and the resto-bar certainly has fulfilled its lofty ambitions. Very charming little restaurant with excellent, personal service. The staff is clearly well trained. The dim-sum style dishes are brilliant and a great way to try a variety of things. Ingredients are a fusion of Asian and Western, cooked to the highest quality. Oh, they also have a carefully selected wine list that goes outside of the usual names and a great selection of cocktails. Kite is a hidden treasure!